Discussion in 'Trail Cameras' started by Hall77, Aug 19, 2018. T-Max, bigbluetruck, Bowhunter and 1 other person like this. Looks like a nice one. Good luck with him. That’ll be a nice one to put on the wall. 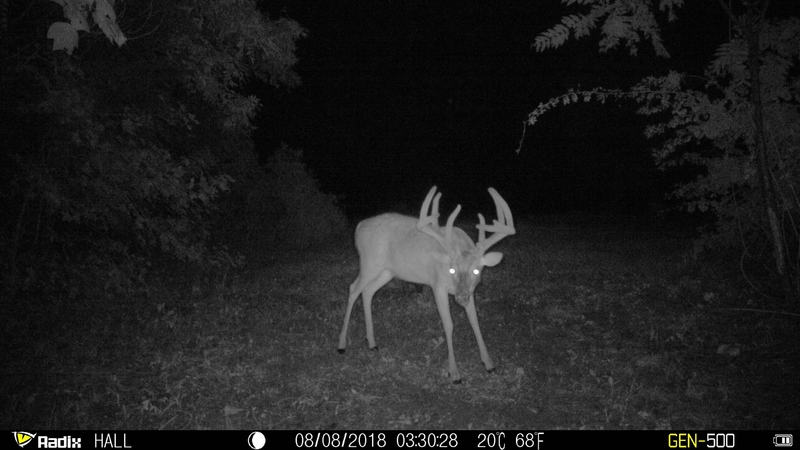 Good luck with him this year. How do you like the Radix camera? Looks like it takes some nice photos. Nice deer. 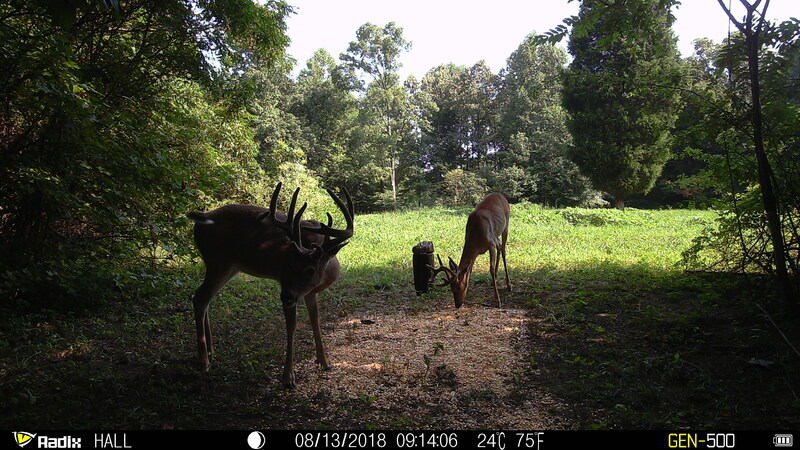 And a nice food plot. What are the deer eating? I really like the radix camera had it almost a year and no problems. It took some tinkering to get the pictures right changing settings with in the camera. That plot was clover on the ground is shelled corn and a trophy rock on the stump. Good luck, hopefully he sticks around when hard horn time comes. I'm not usually that lucky. He don’t have to stay long season starts September 1. Very nice. Something like that will keep you in the stand a little longer on those miserable days. Shelled corn on the ground is like owning Apple stock right now.